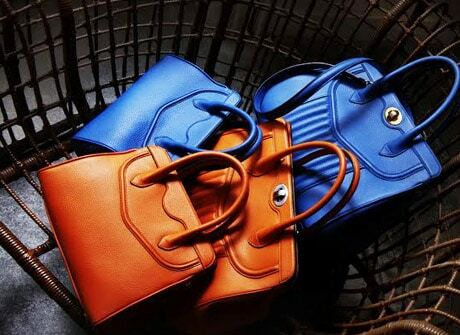 French leather goods brand Delage has partnered with NFC object identification specialist Selinko to integrate NFC tags into its range of premium leather bags. The chips will be provided by Inside Secure and the first range of products with NFC are expected to launch in June. “Each bag will have a unique chip and a unique digital serial number. Consumers with an NFC smartphone equipped with Selinko’s free mobile app will be able to use the tag to access information about their product and confirm its authenticity as well as access marketing offers. “We are using the most secure chip available on the market — Common Criteria certified, military security grade — combined with a technology used by banks for more than 20 years — PKI — to secure the communication between the chip, smartphone and our servers,” Selinko told NFC World. Selinko’s platform is also used by Bordeaux winery Château Le Pin, producer of some of the most expensive wines in the world, to enable buyers to authenticate their wine with a tap of their phone.